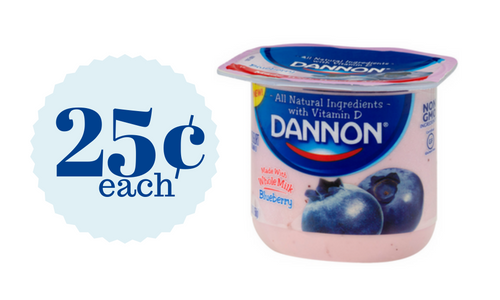 Grab Dannon yogurt cups for only 25¢ each this week at Publix thanks to a new Publix store coupon and a manufacturer coupon. This is a great price for yogurt, so stock your fridge! Note: this coupon is only available in limited areas.